There’s absolutely no need to attempt that insanely difficult updo if you’re just not digging it. The best party hairstyles can be as simple as tweaking the looks you wear on a regular basis and feel the most comfortable in—after all, what’s more fun than feeling confident? Instead of throwing your entire routine for a loop, take a look at these expert-approved tips on how to make literally any ‘do a quick (and pretty) holiday hairstyle. Unless you’ve got one that’s super festive, camouflage that black rubber hair tie with your own hair. Celebrity hairstylist and founder of Hair Room Service Michael Dueñas suggests wrapping a section of hair around the base of a clean, soft, and touchable ponytail—that means go easy with the hairspray so it doesn’t look too severe. “Stay away from really sleek flat looks—this is too harsh for the holidays. I would save that for high fashion event,” he notes. You can also braid the section of hair you wrap around the base of the pony. Dove celebrity hairstylist Mark Townsend, who works with celebs like Elizabeth Olsen and Dakota Johnson, says to start off by spraying in a root lift spray and blow-dry with a round brush to build volume. Next, section off the top section of hair and pull the bottom section into a ponytail. Spray in a dry shampoo to build texture—his pick is Dove Refresh+Care Dry Shampoo ($5, walgreens.com)—and then loosely French braid the top. Wrap the bottom of the braid around the ponytail to finish off the look. Focus on a smooth, lasting finish. “It is all about holding products,” says Dueñas. “You want that style to last all day and be flawless.” Instead of the trendy tousled look, our expert says to keep it smooth and natural-looking. To make your style last, he suggests layering a light smoothing creme if you’re hair is hard to manage, followed by a mousse. Rough dry your hair and then spray in hairspray. Blow out your hair with a round brush, letting the hair cool before you release. Finish off, again, with hairspray. “Your hair will be humidity resistant and have hold all day long without feeling like any product is in it,” he says. Play with the thickness of the plait. 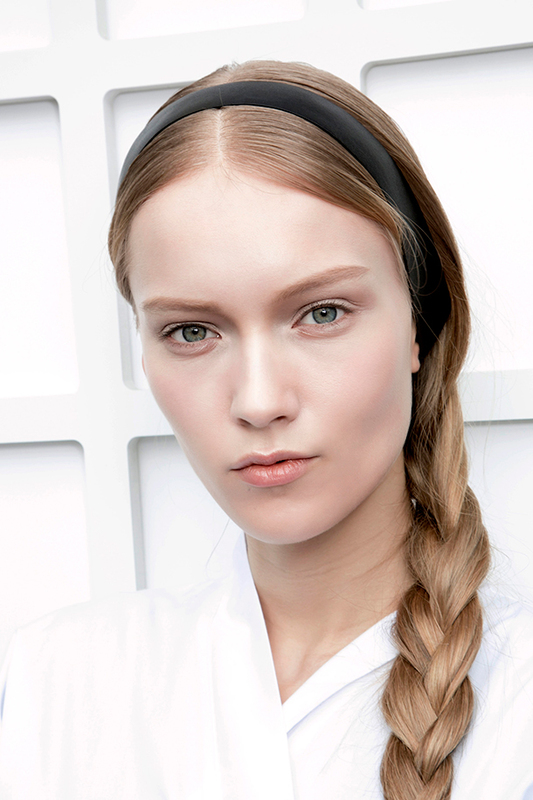 Both thick and thin, sleek braids are worthy of a holiday party appearance. 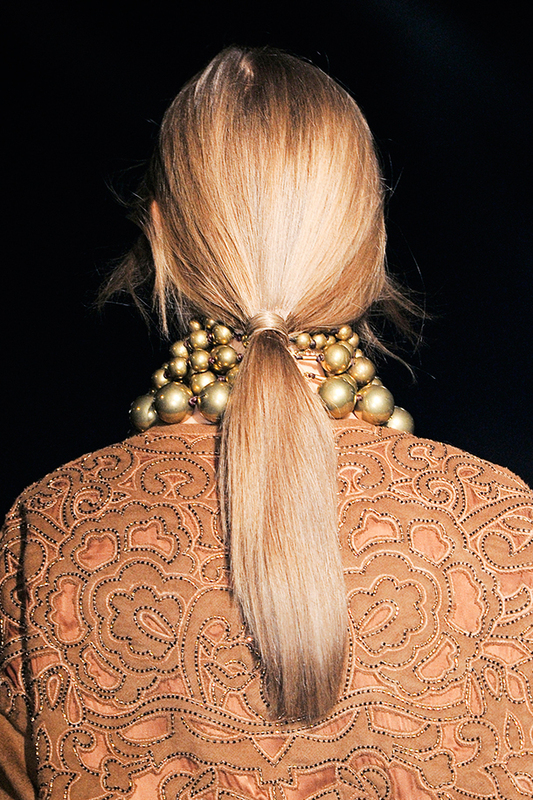 Whatever way you like to wear it, Dueñas suggests keeping texture to a minimum and adding volume to the crown. If you want your braid thick, Dueñas suggests using a texturizing powder like Unite Expanda Dust ($29, unitehair.com) and pulling it apart to give it body. Sure it’s the hairstyle you choose when you’re washing off your makeup, but it’s also totally appropriate for the holidays. Just give it a twist with a braid. Start off by blow-drying your hair and pulling it into a high ponytail, explains Townsend. Next, take a braid paste like Sally Hershberger 24K Texturizing Paste ($40, sephora.com) and braid the lengths of the ponytail. “Wrap the braid around the base of the ponytail, tucking the end underneath to create the ‘knot’ and secure with a bobby pin,” says Townsend. Finish off with a spritz of hairspray. To fix any fly-aways around the nape of the neck or near the ears, Townsend suggests spraying the hairspray on a disposable mascara wand and using it to smooth down the frizz.